What Is The m3health program? The m3health Inquiry continues the journey to self led well being. We are the major determinant of our own health. Harness your own power to recover from this illness and prevent the next. Returning to work after illness and injury can be the best medicine. It helps to know what actually happened, and how you can help prevent it in future. Resume the lead role in your own recovery and ongoing health. Mental health might require you to play out the hand which you’ve been dealt, as well as exploring a bunch of options you discover along the way. Exploring health via self-discovery. Uncover the role you are playing in your own wellbeing. You may be the missing link to your own health. When you have already tried pills, herbs, supplements, diet, exercise, lifestyle, religious practice and other advice, there is m3health. For those who appreciate that health is more than drugs and doctors. The m3health inquiry. For intrepid explorers and those with difficult to resolve issues - physical, mental, relationship and life. Have doctors run out of ideas for you? It uses the latest mind-body science to optimise your own body physiology. It’s different from anything you have seen before and exciting to undertake. It can help you change something in your life which you dont like: E.g. a health, relationship, work or other problem. It can give you a new lease on life and prevent problems in the future. It frees up your immune and hormonal systems from years of accumulated restrictions so that they can do their proper job of healing. These are the two systems primarily responsible for health and recovery. Who will it work for? It works for people who are willing to explore. For over 20 years the Program has proven effective on a wide range of people and a wide range of problems. Yes. There’s nothing to take and no diet, exercise, affirmations, practices, religions or deprivations. It identifies and removes obstructions to healing. It uses your current life circumstances to guide you towards healing. Will it affect my current treatment? The program is used in conjunction with a health practitioner’s recommendations, not as a stand-alone treatment. It helps your body make more effective use of any treatment that you’re underatking. You need to be prepared to look at things differently. You’ll be guided through a process to uncover attitudes and emotions that are interfering with healing. You’ll be asked to respond to some specifically formulated questions. Many people achieve what they want within a few months. Others take longer. You go through the Program at your own pace, when it suits you. Yes. It’s totally private. Only people you tell will know you are undertaking it. The basic m3health Program costs US$75 – about the same as a single visit to a health practitioner or a pharmaceutical prescription. The benefits of the program continue for life. 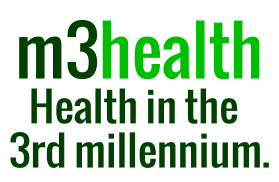 Visit our News page and get the latest insights from m3health or subscribe to our feed. Becoming a member allows you to gain access to the m3health program. Standard Membership gives you access to the entire m3health program available in the members area. Click here for more information regarding memberships and a summary of what is included in the m3healh Program or register here. Like the Standard Membership this also provides access to the entire m3health program available in the members area but also entitles you to liaise with an m3health professional directly. Click here for more information regarding memberships and a summary of what is included in the m3healh Program or register here.